The entire narrative has been inexorably heading towards this point. Reading this afresh it is remarkable how much Mark says in the sparest of prose. Simon of Cyrene is introduced, the account of the soldiers’ gambling for Jesus’ last vestiges of dignity and life is told, the drink of gall and Jesus’ refusal is mentioned – and all framed by these three words, ‘they crucified him‘. Unadorned facts. Short. Brutal. Real. Left to the reader’s imagination – of an all too familiar form of violent death. I have a confession here. I have never watched Mel Gibson’s The Passion of the Christ. I can’t even articulate exactly why but I know I’ve never had any inclination to see it. It just felt so ‘out of step’ with the Gospels. The violence is not overlooked but it is not centre stage. The real point, and more of Mark’s irony is at play here, is that this powerless, condemned, thirsty, beaten, bloodied, publicly humiliated, mocked, shamed and abandoned Jew dying a cursed man’s death, really is, against every expectation and every prior theological framework, the long promised King of the Jews, the Messiah of God. But that’s a crazy foolish thing to say. Makes no sense at all. Does it? Back when I was at college in London some of us would travel in on a Sunday evening to hear John Stott preach at All Souls Langham Place. Probably not very good ecclesiology, but in the days before the internet, MP3s, online sermons and DVDs, we wanted to hear the man in person as he neared ‘retirement’. For like untold numbers of Christians over several generations, all of us , had been shaped and influenced by his writing – robust, biblical, gracious, evangelistic, engaged, thoughtful, and missiological. 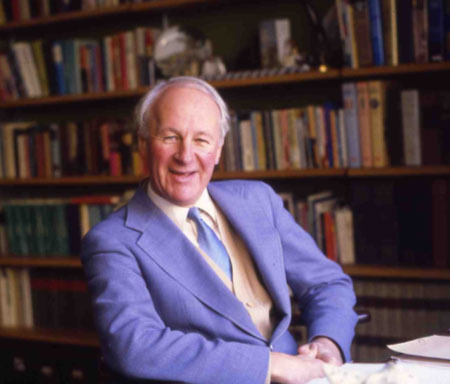 John Stott was for generations the default resource; whether for a commentary or preaching or a theological topic. For me, Issues Facing Christians Today opened up a whole new world of how the Bible connects to the contemporary world, something I’ve been passionate about ever since. So it was special, after hearing him speak in Belfast once, to stand in line and shake his hand and try to express how much his books had helped me grow in my faith. Many will rightly pay tribute to Stott’s extraordinary contribution to the global church, particularly global evangelicalism – The Langham Partnership, WEA, Lausanne, The London Centre for Contemporary Christianity, his contribution to the Anglican Communion, his preaching and teaching ministry worldwide – the list is extraordinary. But what I remember most about him is his warmth, humility and joy, both in the times I heard him speak and in his writing – and this was no ‘persona’, it comes through clearly in the biographies that have been written too. Through God’s grace, he managed to model grace and humility with a passion for truth, profound learning and a vision for effecting change. That’s rare to say the least! He always wore his achievements lightly and was keen to keep the focus off himself and onto his beloved Lord. He never lost focus that the purpose of the Christian life is to become more like Jesus. (Just read another of his books entitled, The Incomparable Christ to get a flavour of his trinitarian and Christocentric faith). “to be profoundly grieved by our evangelical tendency to fragment”. It sounds obvious, but evangelicals, as ‘gospel people’, should be deeply concious of the doctrine of grace and therefore display that grace to one another and to others. But I’m sorry to say that when I compare some significant voices within global evangelicalism today with John Stott, there is a strident tone combined with a tribalism and distinct lack of warmth, graciousness and humility. Why are evangelicals often so bad at living grace as well as preaching it? As a family we’ve pretty well lived and breathed Harry Potter over the last 10 years. And there are few greater pleasures than listening to the audio versions read by the utterly brilliant Stephen Fry. And one of the big events of our recent road trip was to finally get to see HP7b in a wee retro cinema in a village in Wales (where they had an interval selling ice creams after the ads and before the film – must be a Welsh thing). And especially in light of her comments, here is I think a compelling and persuasive theological analysis of 4 major themes of The Deathly Hallows, which, the author Brad Littlejohn argues convincingly, are downplayed if not written out of the film itself. The Four themes are ‘Death of Death’, ‘Life of the Age to Come’, ‘Atonement’ ‘and ‘The Last Judgement’. This isn’ to say the film isn’t excellent, I think it is one of the best of the series. Alan Rickman especially is given more scope to be superb as the conflicted Severus Snape. I could watch him act all day. Here’s a clip of what Littlejohn’s saying – on the ‘Death of Death’. See his full article for the other 3 themes. In our family debrief afterwards, we agreed that the failure to explain Harry’s resurrection and defeat of death was one of the major holes in the movie. 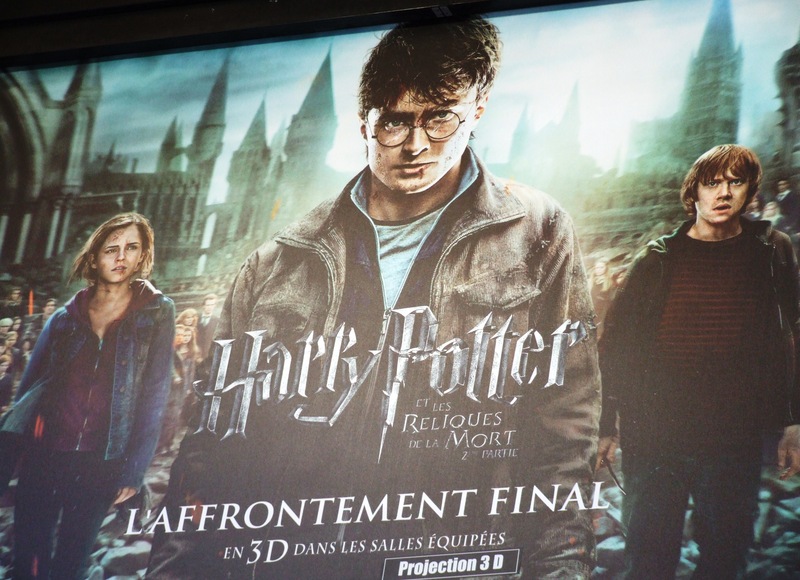 What was your verdict on the Harry Potter finale? …. In short, in Harry’s death, we witness the death of death in his own death. Like Christ, “death has no more dominion over him.” What this means is more than just the destruction of another Horcrux; Harry has not just struck one more blow, but in fact the decisive blow. But to bring this decisive blow to completion, Harry must be resurrected. Death must be publicly exhibited as overthrown, its powerlessness before the power of love must be displayed and enacted, Harry must tread the powers of evil underfoot, must reverse the sentence of death that Voldemort has enacted on him by returning it upon Voldemort. And this resurrection must be no mere “rescuscitation,” it must be the return to life of someone over whom death no longer has hold. All of this, I think, is clear enough in the book, although generally hinted at rather than openly set forth. In the film? Nope. In the film, the conversation between Dumbledore and Harry is abbreviated so as to omit any sustained reflection on the significance of what has happened, and Harry simply asks, more or less, “So, can I go back?” To which Dumbledore replies, more or less, “Well, if you want to.” Why should he be able to go back? On what basis? Can the story just conveniently break the rules of its own world whenever it wants to? No, as in Narnia, what we have here is not the normal rules of magic, but a deeper magic at work. Thus far, the departure in the film is primarily one of omission, not commission, but the ramifications are still significant. Now for some very different pictures – these I really like. 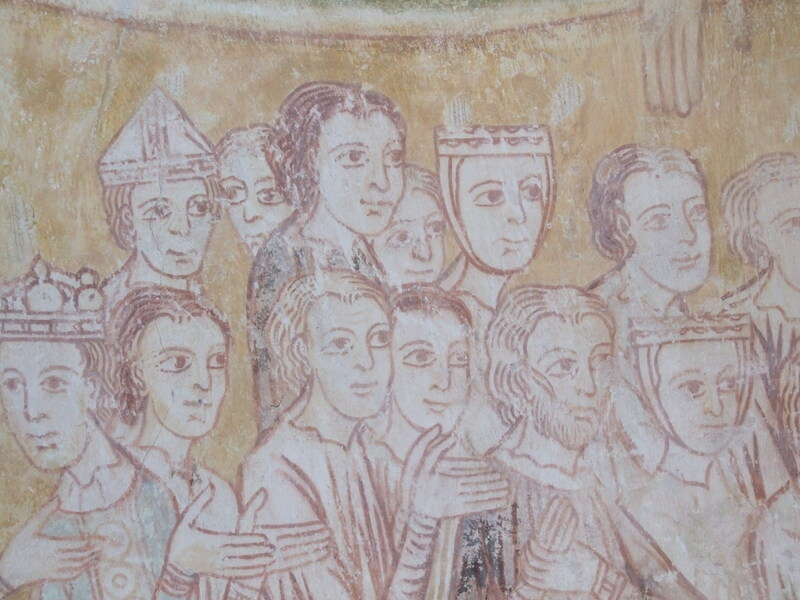 Almost cartoon sketches and very old – 13th Century I think (click on the picture for a closer look). 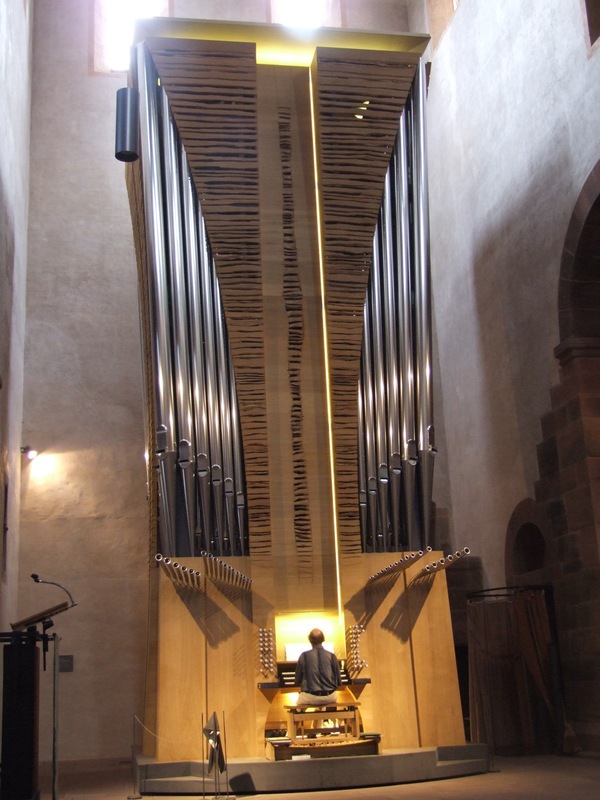 It also has the most amazing mobile organ (that we heard being played). The monks were a dab hand at brewing, a tradition that has continued to this day in the brewery beside the Monastery. I gotta say they make damn fine beer. I think this is the one of the weirder representations of Jesus I’ve seen – and there are plenty of very strange ones out there. I think it’s the eyes. A sort of depressed terminator? What do you think? And what about the first ever competition on this blog? A Ritter Sport bar of chocolate to the first person to identify where this Jesus is! 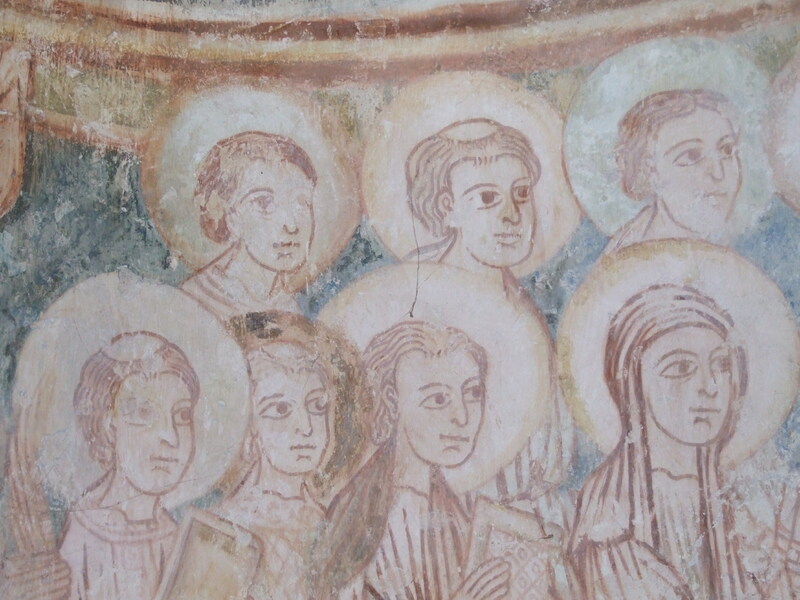 Is picturing Jesus nearly always a bad idea? Is there a particular representation of Jesus that you really like or really hate? We were in the the trial and execution narrative section of the Gospel. Jesus has been condemned to die by a pragmatic Pilate. He is now ‘beyond hope’, the verdict has been passed, and he is given over to the authority and power of those tasked with torturing, killing and degrading enemies of Rome – the local soldiers. On a random tangent here, I’ve just finished the third (Sovereign) of the C J Sansom’s wonderfully compelling Matthew Shardlake series – a sort of medieval detective but much more. He brilliantly evokes the day to day life, politics and grim realities of King Henry VIII’s England. And there is no more grim reality than the Tower of London. A place of fear, brutality and hopelessness. I won’t give spoilers away, but there is a chillng torture scene as someone is left in the hands of the expert and coldly ruthless torturers in the Tower. Reading it, I thought of this text in Mark and how Jesus is given over to the hardbitten professional killers employed to effect the brutal realities of the death sentence ordered by their (comfortably distant) superior. 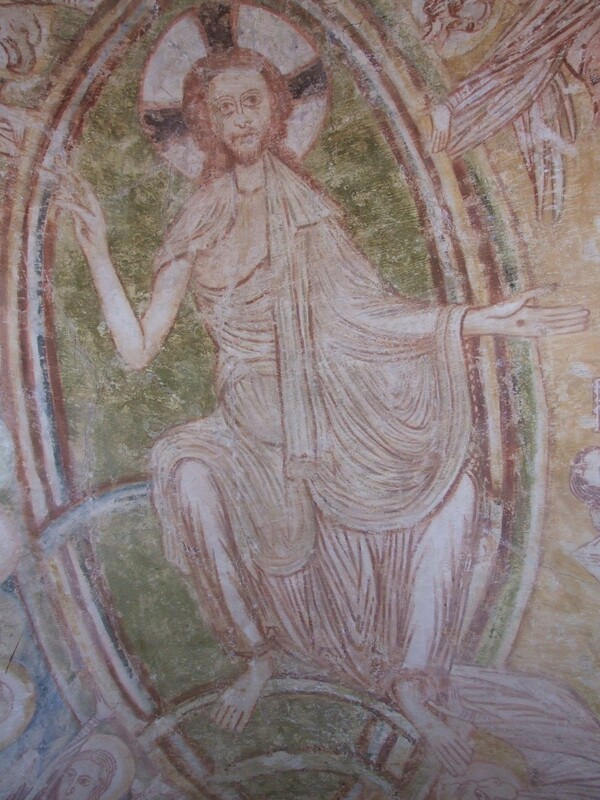 Jesus is beyond the protection of any law; without hope of a reprieve and left alone to face his professional tormentors – who, Mark makes clear, are clearly enjoying the extra ‘twist’ this prisoner has provided them with all this talk of being the ‘King of the Jews’. 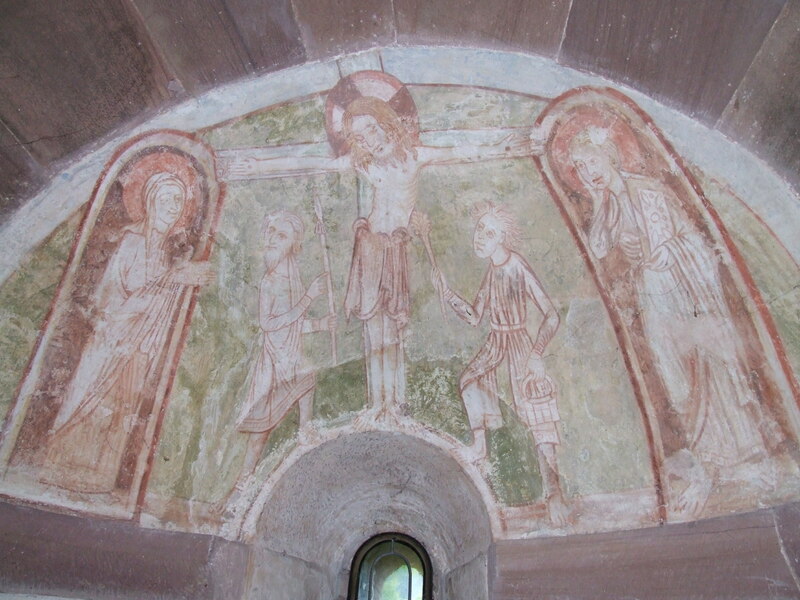 Mark is silent on how Jesus responds to the torture and mockery. There is a strong implication of silent endurance. Here is the innocent lamb being led to the slaughter. Here is the true King being mocked and offered joking worship. Here is the irony and ‘foolishness’ of God revealed. Here is the upside kingdom of God in all its surprising weakness. Here is the path to the cross. But, as with Jesus as every stage of his life, things are not all they seem. And this, it seems to me, is a way of summarising the Christian faith. It is a belief that a deeper reality lies behind what we can see. That beyond the often grim and harsh realities of life there is hope because there is a God who has entered those realities and overcome them in the most counterintuitive way imaginable – death and resurrection. Some further musings prompted by Luther’s most famous bit of German. Do you know some people well who, at one time were committed active Christians, but who have now, for whatever reason, either stopped believing all together, or have dropped out of any church involvement? If you were to ask them why, what do you think they might say? 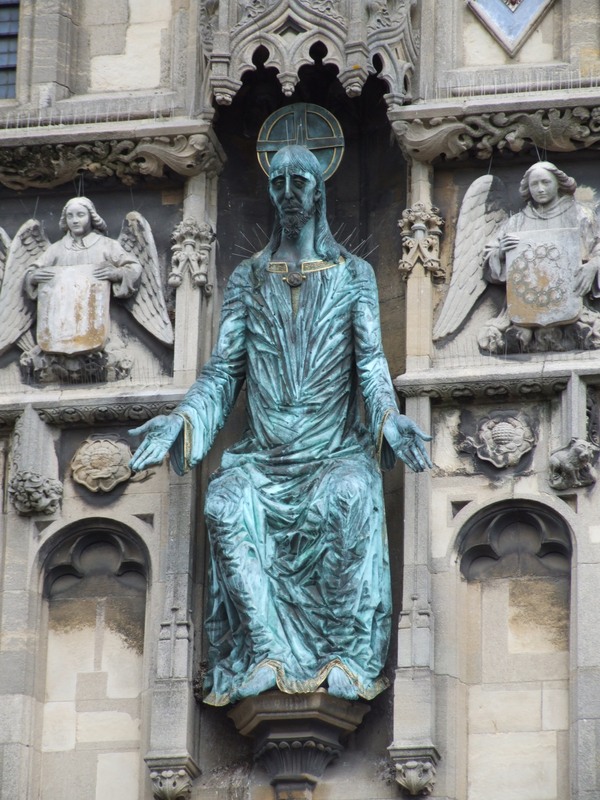 Luther’s stand of course was not at all related to whether he believed in God or not. Within the Christendom world in which he lived that was virtually a non-question. His ‘here I stand’ was on a particular interpretation of what the Bible said about salvation – how someone is put right with God. But in our increasingly post-Christendom European context, to say ‘Here I stand, I can do no other’ is, I suggest, to proclaim and live out a public faith in a culture that views being into church, God and all that sort of stuff as unusual, private, irrelevant, if not outright weird and even dangerous. BTW, Steve Holmes has a nice post on the day to day realities of living in post-Christendom Britain. Anyway, this brings me to a very special meeting with three friends I had recently. We were all at London School of Theology (LBC in those days) and (gulp) started our degree course 25 years ago this September. We hung out a lot together over those 3 years but this meeting was the first time all 4 of us were together since we graduated. We had great craic in a hugely enjoyable day. Here we are – looking exactly as we were in 1986. 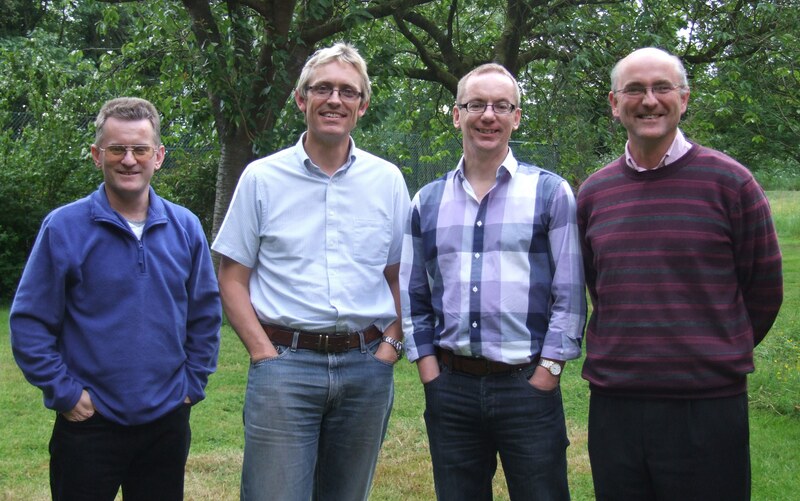 I didn’t have hair then either 😉 From the left, Eric Harmer is pastor of Barton Evangelical Church in Canterbury; Darrell Jackson is Director of NOVA Research Institute linked to Redcliffe College and Arthur Magahy, with his wife Nicky who was also at college with us, are Mission Trainers at IMC in Birmingham, the training centre for BMS World Missions. My interest here isn’t so much in what we are doing now, but a conversation that came up that day. We got round to talking about the challenges of ‘continuing to stand’ over the years through good and bad times, through joys and disappointments. And we recalled lots of students at college in those years. Many are, to use Paul’s phrase, ‘pressing on’ and continuing to ‘run the race’. But more than a few, for whatever reasons, are no longer doing so. These weren’t nominal believers but people who were active and committed enough to go off to study theology full-time at an evangelical college. It seems to me that this would be a significant topic for some field research. I know the general church stats in the UK and Europe are of significant decline, but much of that can be attributed to the decline of Christendom and the fall off of large numbers of nominal members of denominations. But what of decline and loss within active evangelicalism? What’s your experience and interpretation of this reality? For it is just as much if not more a local church issue as one for theological colleges. Is it a subject that we don’t like to talk about too much? Pastorally sensitive? Theologically problematic? To be expected given the spiritual battle that the Christian life represents? And is there an irony here that while evangelicals are mission people who expend great energy, prayer, creativity and money on evangelism and church planting, relatively little is said or done about the significant numbers of former evangelicals quietly walking away from church life and/or faith altogether?